Ronald J. Ryan, 84, retired local agribusiness owner and farmer of Maysville, passed away Tuesday, April 9, 2019. Mr. Ryan was born in Mason County August 9, 1934, to Roy and Carolyn Applegate Ryan. He grew up in San Diego, California, and was a 1952 graduate of Point Loma High School in San Diego. During his childhood, he spent summers on his grandparents Day Pike farm at Orangeburg and following high school, he attended the University of Kentucky where he graduated in 1956 with a Bachler of Science degree in Agriculture. While a UK student, he was a member of the Farmhouse Fraternity and the ROTC. From 1956-1958 he served in the 3rd Armored Cavalry Regiment in Germany and continued to serve after active duty at the local Army Reserves 400th Quartermaster Company where he became Captain and company commander. One of his proudest accomplishments was his many years of military service. After completing his active military service, he returned to Mason County where he ran a dairy farm and owned and operated the family business, Ryan’s Farm Supply and Feed Mill in Rectorville. Later, he opened Ryan’s Farm Supply and convenience store on the AA Highway near Orangeburg. Through the years he served on numerous boards and was a member of the Lions Club, Kentucky Cattleman’s Association and the Mason County Livestock Improvement Association. He was also an active member of Orangeburg Christian Church where he served as deacon, chairman of the church board, Sunday school teacher and a member of the church choir. 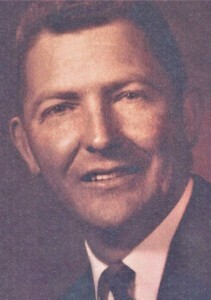 He is survived by his loving family including his wife of nearly 60 years, Edith Phillips Ryan; daughter, Kathi Ryan (Ralph) Rinesmith of Cincinnati; grandson, Ryan N. Owens (fiancé Lucy) of Maysville; stepgrandchildren, Terra Rinesmith (Michael) Burke and Matthew (Lindsey) Rinesmith; and three great-grandchildren, Bridget, Genevieve and Aiden, all of Cincinnati. In addition to his parents, he was preceded in death by his daughter, Susan Ryan Owens. Also surviving are his siblings, Bill (Lety) Ryan of Maysville, Roy (Sandy) Ryan, Eloise (Carmine) Randazzo and George (Bev) Ryan, all of San Diego; brother-in law, Larry K. (Kathy) Phillips and sister-in-law, Donna Phillips of Maysville. Services for Ronald Ryan will be at Orangeburg Christian Church at 11:00 a.m. Saturday, April 13, 2019, officiated by Pastor Martin Voiers with visitation beginning at 9:00 a.m.
Burial will be in Maysville Cemetery. Pallbearers will be Ryan Owens, Matthew Rinesmith, Michael Burke, Chan Phillips, Keith Phillips, Trip Fetter, Bill Porter and Jackson Tolle. Following the burial, visitation and fellowship will continue at Maysville Country Club. Memorials are suggested to Orangeburg Christian Church, c/o Vieda Stitt, 7252 KY Hwy 1234 South, Maysville, KY 41056.